Even if the weather isn’t saying it’s Spring yet, that shouldn’t stop you from creating a welcoming porch for the season, should it? I certainly say not! 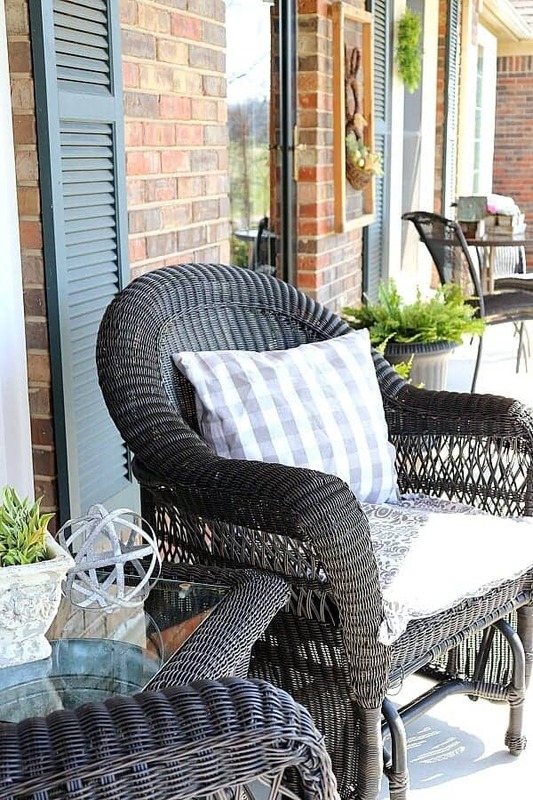 Do you need tips on how to style a porch? 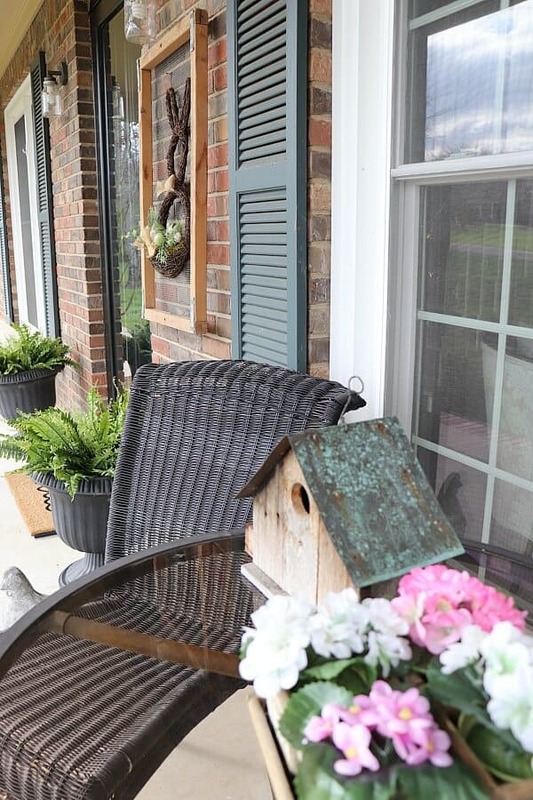 Here’s how I’m saying hello to the season with this Easy Spring Porch Decor. What I especially love about styling a porch is that it really doesn’t take much effort! 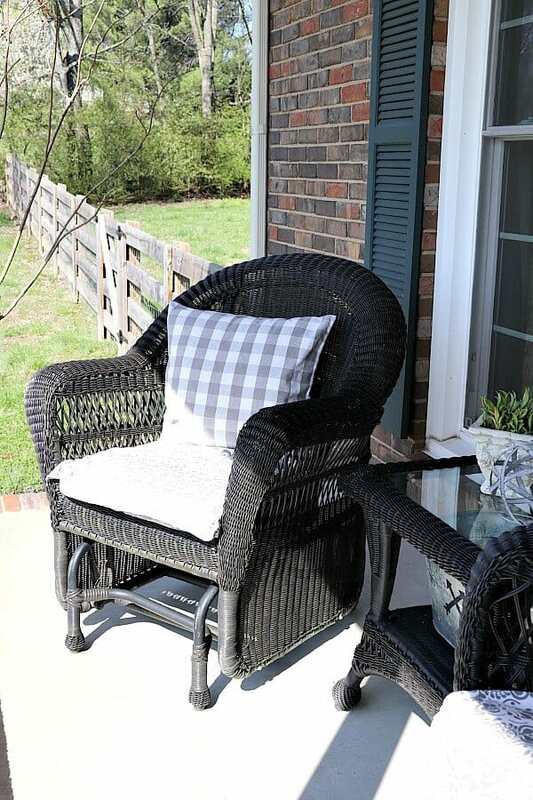 My porch was bland and boring, but by thinking outside the box, and moving things from other outdoor areas to the my front porch, I was able to create a welcoming spot for guests, or even a comfortable area to sit and relax! But before we get into all the fun details, I want to say hello to those of you coming here for the first time. 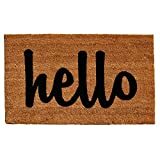 If you have hopped over to Noting Grace from Christine’s blog, Little Brags, then welcome, welcome, welcome! You can click here to learn more about me and you can also tour my home. 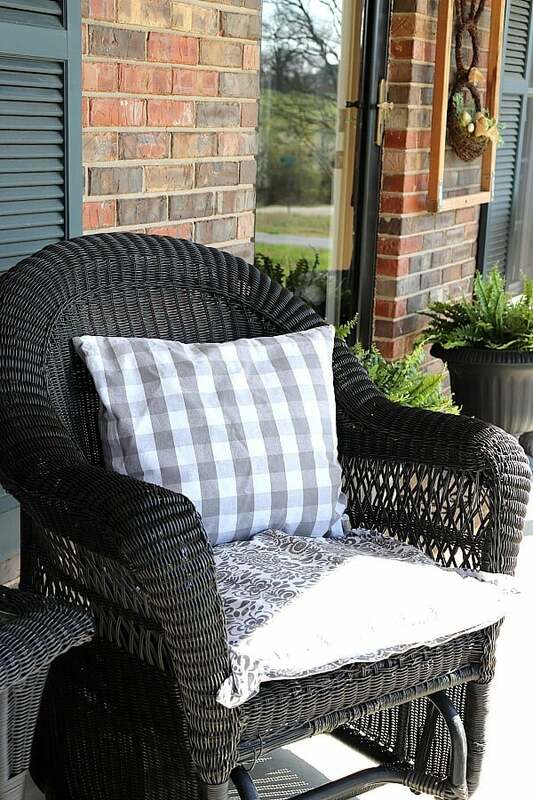 Being that Christine is porch decorating rockstar, I’m not going to lie – I’ve got some serious porch envy every time I see one of her fabulous creations! Affiliate links are provided at no cost to you. You can read my full disclosure here. Last week was all about my front door. I still can’t believe that we added glass to our existing door and gave her a fresh coat of paint! Then I added these ferns to help frame it in. Of course, that bunny-trailed into creating a welcoming porch to throw it all together. But here’s the thing…. I didn’t want to spend one penny! It’s because we are about to embark on a colossal DIY of all DIYs in the history of DIY. We are going to be painting the exterior of our home as soon as mother nature cooperates! Limewashing the brick, to be exact. So with that on the horizon, I need to save for that project. And another thing is that I shouldn’t buy new decor when everything around it is about to change. So to create a temporary, welcoming porch, I did some switch-a-roos and dug through old decor. Outside the front door, I hung a cage that I’m pretending is a vintage tulip crate, but really, I think it was old gate to a critter of some kind. 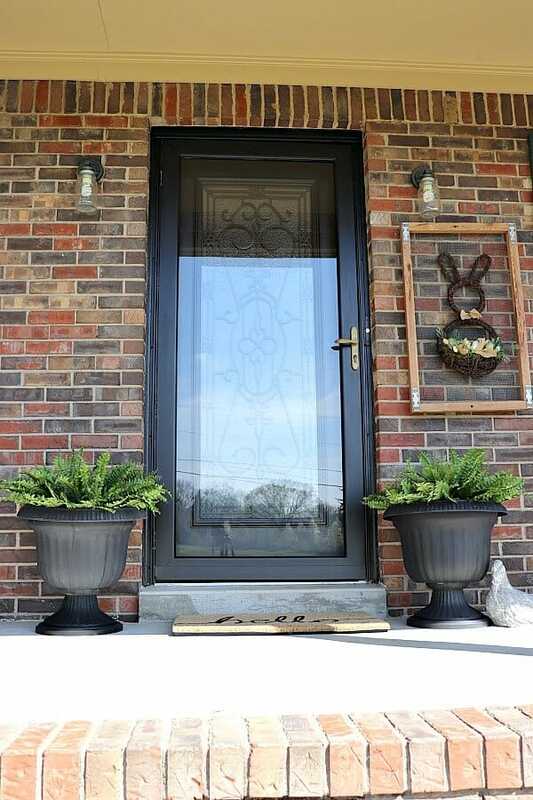 I placed last year’s Bunny wreath on top to fill in the space – and I LOVE it! Since I typically hang Christmas wreaths on my front windows, I had the idea to hang spring wreaths for this season. These gliders were sitting on my back porch this past year, but since getting our dog, Ollie, we have caught him taking a taste or two of the chairs! So it’s optimal to place them here on the front porch, out of his reach. 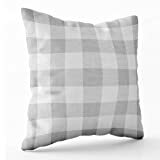 These pillows used to sit on our Ikea sofas, but have been in a closet for months. What better way to repurpose something and – not to mention – create a fresh new look? Since his little bird house was left behind by the previous owners and was in poor shape, my Father-in-law replaced the roof with a piece of weathered copper and it’s just beautiful. And watching it get used by little birds building their nests for their eggs year after year gives me such joy! 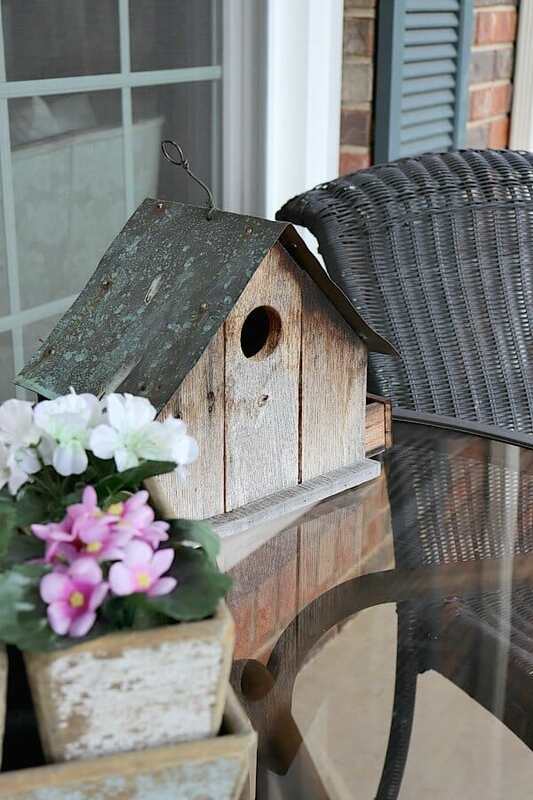 All in all, it’s not a lot of effort or time to find Easy Spring Porch Decor for your home. Try looking around to find pieces you can repurpose somewhere else. 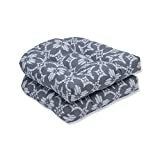 It may take a bit of trial and error, but you can easily create a spot for your home that brings you happiness. 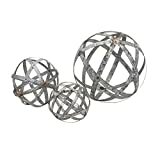 CC Home Furnishings Set of 3 Industrial Chic Rustic Galvanized Metal Round Ball Spheres Table Top Decor 12"
Next on this Spring Blog Hop is Kristen from White Arrows Home and her gorgeous welcoming porch. 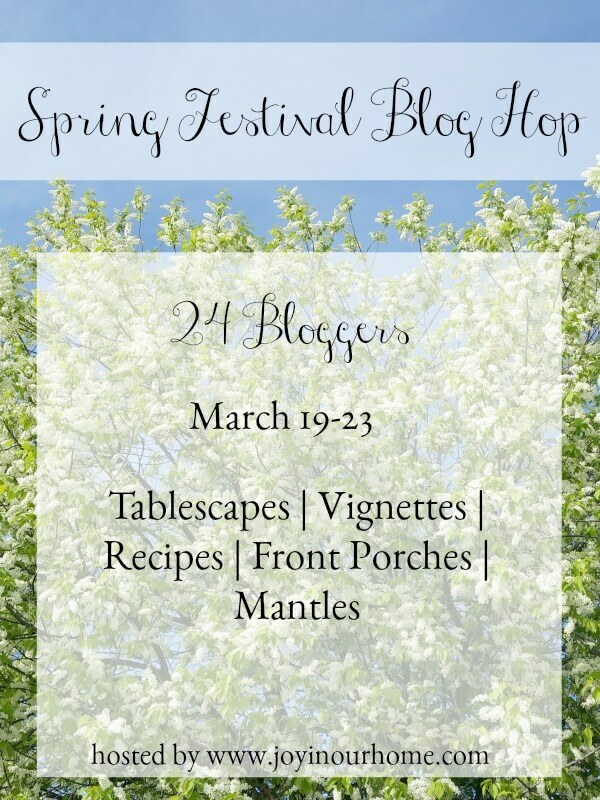 So be sure to check her out and don’t forget to visit the other blogs on this tour of homes. Loads of inspiration is linked below! I also want to say a special thank you to Kendra from Joy in Our Home for putting together such a fantabulous group which I’m honored to be a part of! 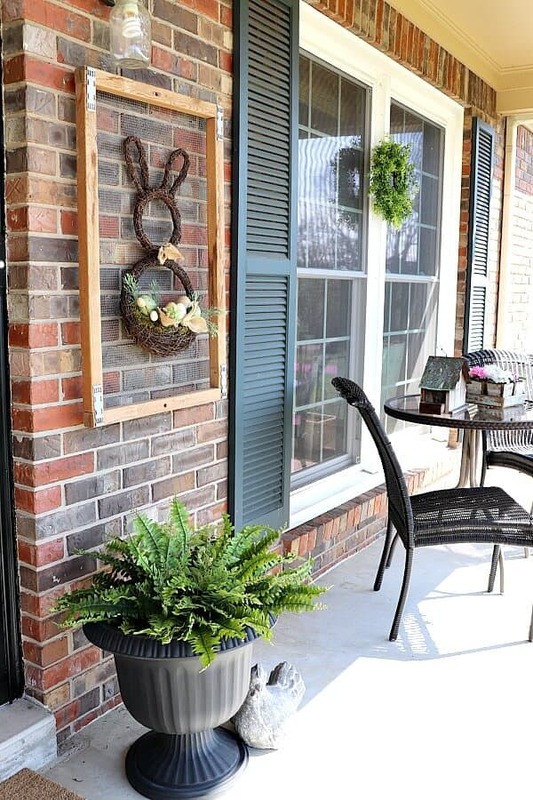 Pin This Easy Spring Porch Decor for later! That bunny wreath is so adorable! 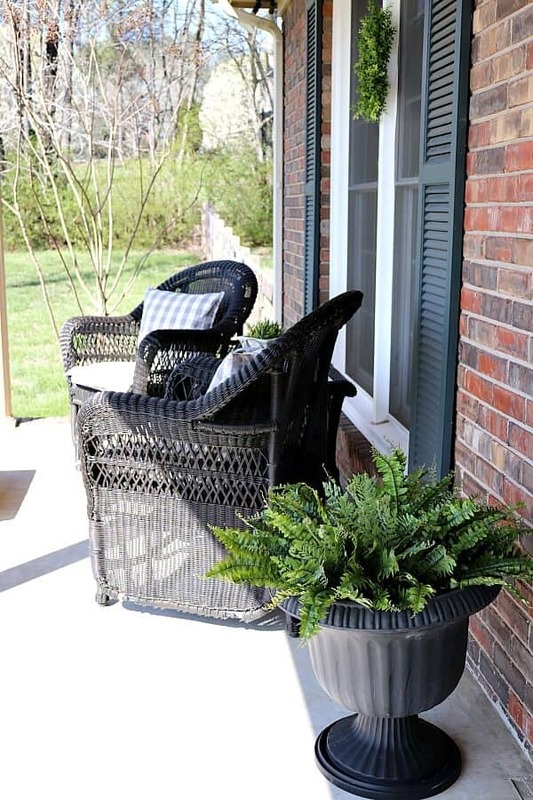 Love your spring porch! So many pretty details! 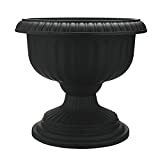 And your wicker makes me want to spray paint my porch furniture black! So very pretty! I absolutely adore your bunny wreath! Just love your outdoor space! 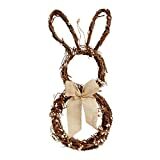 That bunny wreath is so cute, especially hung on the wire gate! Christine! It’s all so true! Most of my porch pins on pinterest are of your house! I’m seriously addicted to your porch! Thank you Michelle! I found that wreath last year at Walmart and it’s still going strong! Tara – I dream of your front porch swing! Isn’t it funny how one thing inspires another! Thank you for your sweet words, my friend! 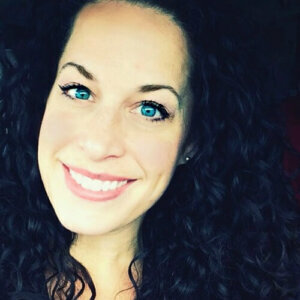 Stacey – you are so kind! I’m honored to have provided any ideas from someone with your amazing talent! Thank you for the smile! Thanks Carrie! I was talking to my husband about my make believe tulip crate today and he thinks it may have been a lid to a reptile cage! EEK! That made me not like it, but your sweet comment had me smiling again! That bunny wreath is so fun, Jen! Such a cool idea. I also love the birdhouse. It looks perfect sitting on your table. I want to come sit awhile with a cup of coffee! So welcoming and charming! Your porch reminds me of most of the houses where I grew up. It gives me a warm, cozy feeling of home. 🙂 I’ve always loved brick and the black furniture is perfect! 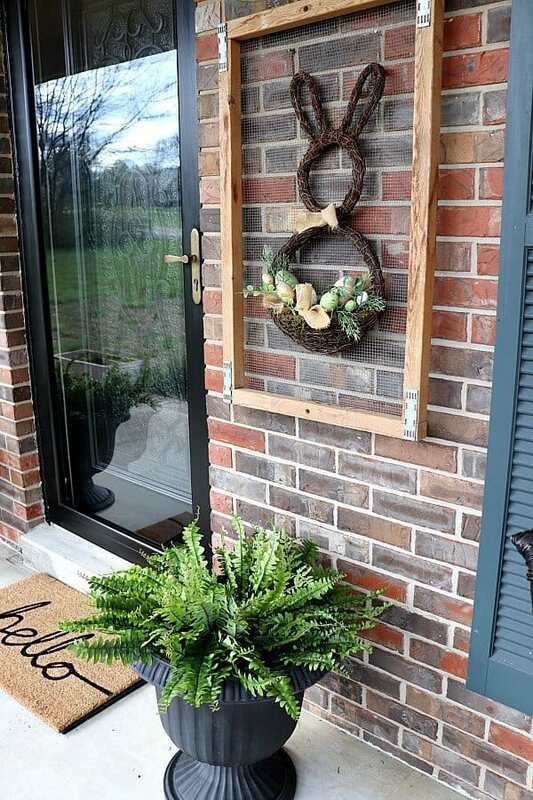 I love that you repurposed decor for your front porch!! And I love that bunny wreath, so cute!!! Love how creative you were to shop your own home! The spring wreaths on the windows is such a great idea and I love the bunny wreath on the crate! Thank you so much Cindy! You are so kind! Ladies – you are so very kind with your sweet words! Thank you so much! You brought a huge smile to my face today! Oh how fun would that be?! Our boys could run and play in the back yard, while we sit and visit! Thank you Kelly! You are so sweet! Hi Marly! Thank you so much for taking the time to comment! It means so much! Oh Kim! That’s the best compliment ever! All I ever strive for is to create a cozy home that evokes feelings of happiness! Thanks for taking the time to leave a sweet compliment and making my day! Oh very nice! Simple yet beautiful! Love the screen behind that pretty bunny wreath! Thank you Kristen! It was a fun last minute combo! Aaahhhhh….you ladies with spacious front porches are SO very fortunate! We live on a Colonial home with NO real porch to speak of, and I am always wishing, wishing, wishing. Sure, I can do all kinds of stuff on the back porch, but it’s just not the same. I know…first world problems! Very nice job! I can envision myself enjoying a cup of coffee on your porch. Everything about is is just perfect! Oh, come on over! I’ll put the coffee on! Thank you for your kind words! Alycia – you are so kind! We lived in a few houses without a front porch and I have to admit that I truly relish this one! Thank you for your kind words! Very welcoming front porch! Love your bunny and ferns. Visiting from Scraptastic Saturday party. What a welcoming Spring porch! 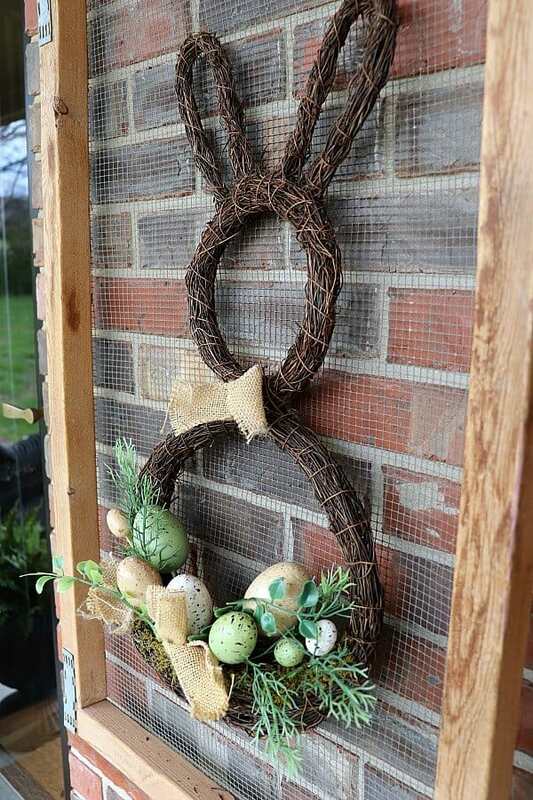 I especially love the bunny grapevine wreath on the wired backdrop! Thanks Victoria! I’m am loving the refresh! Thanks Cherryl! Now, if only Spring will cooperate so I can enjoy it more! Jen, your porch is truly inspiring. I’ve been looking at ways to spruce up my porch for the Spring/Summer season, and am open to any EASY ideas. Love your wicker & the birdhouse. Also love the bunny display. Good luck with the lime wash too! Hi Florence! Thank you so much for leaving me such a sweet comment! I’m glad this gave you some ideas to try! Now, if only we could get the weather to cooperate a bit more!